“Time management” is the process of organizing and planning how to divide your time between specific activities, especially to increase effectiveness, efficiency or productivity. Also, it’s defined as the act of planning the amount of time you spend on which activities. Most of the management literature that discusses the time management state the primarily goal of managing time is to increase the productivity. Delivering training sessions on time, is an important quality standard for all trainers. 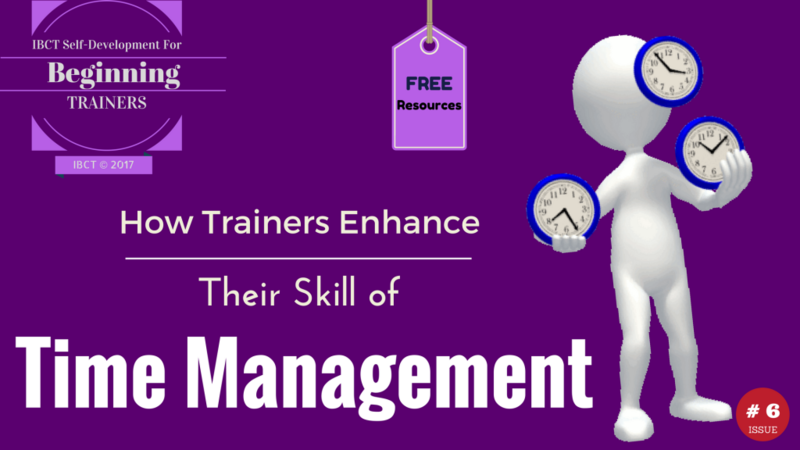 Time management is one of the delivery difficulties for novice or beginning trainers. Many trainers are not sure about what is the proper pacing for their sessions and not to rush through the material. They also worried about having too much or too little material to present. Here are some strategies that will guide you how to deal with such a delivery difficulty. Corporate trainers initially plan for using too much material. In this case, they consider parts of the training material as expendable topics. Then, they prioritize the training activities, so that some parts may be omitted, if necessary. Beginning trainers can suffer a lot due to a lack of participation of trainees. Frequently, this would be resulting in lecturing more and ending up in endorsing the passive behavior of trainees. 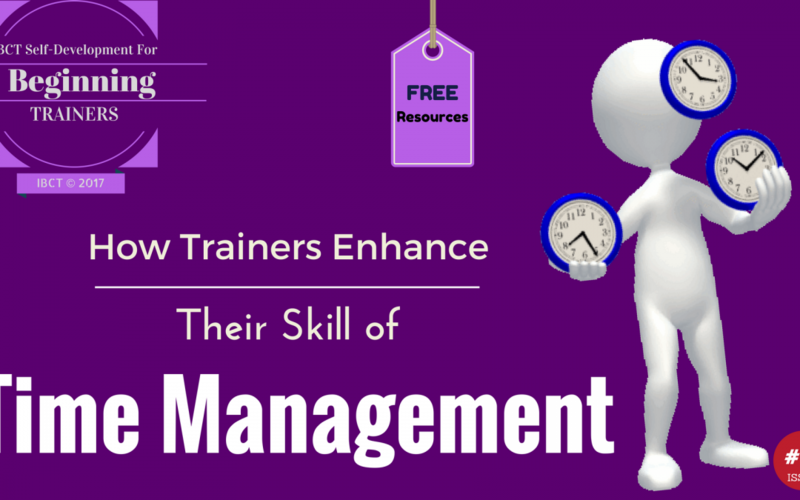 Trainers may feel frustrated, and conducting training can be an exhausting experience. Therefore, we here at IBCT will give you some useful tips to overcome this issue. – Practice practice and practice. Corporate trainers practice their training materials many times, so they know where they should be at 15-minute intervals. At the same time, fellow trainers give feedback, so they polish each other presentations. Meanwhile, they make sure that there’s a clock in the training room. 1. Plan your training in 15 minutes intervals. – What is “nice-to know” part. 4. Make sure there is a clock in the training room. 5. Practice your training sessions, at least 5 times. 6. Ask fellow trainers for feedback. Watch the following educational video to know more tips. The facts talked about in the write-up are a few of the best out there.